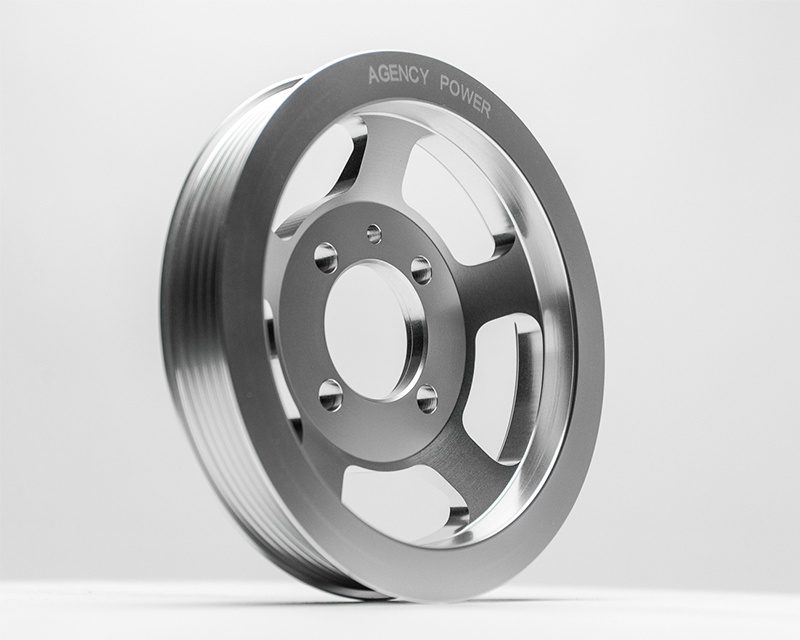 Agency Power Race Crank Pulley Mitsubishi EVO X 08-15. 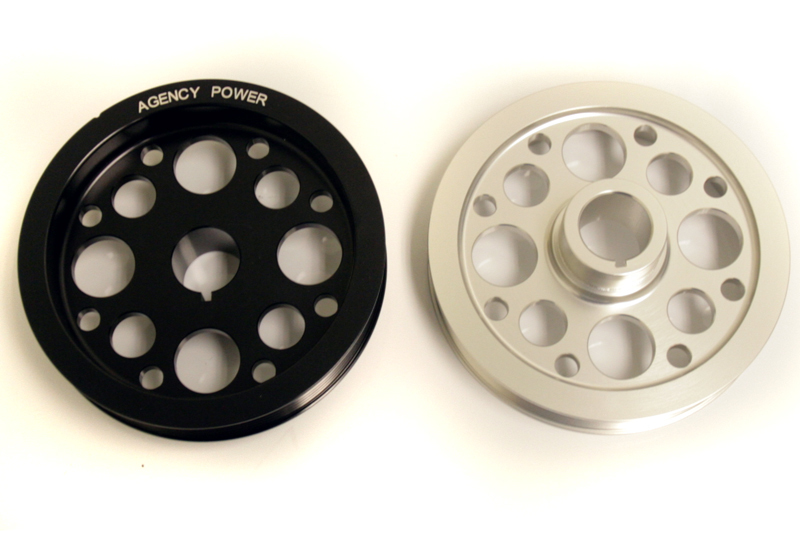 Agency Power has designed a Mitsubishi Evo X crank pulley for the 4B11 engine. 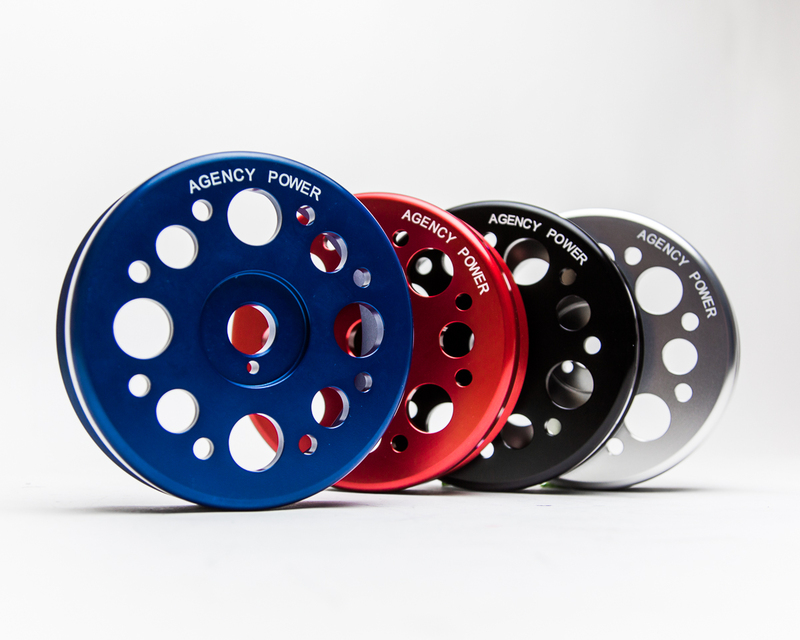 This new pulley is fully CNC machined 6061 aluminum and is available in a Black or Satin silver finish with the Laser engraved Agency Power logo. 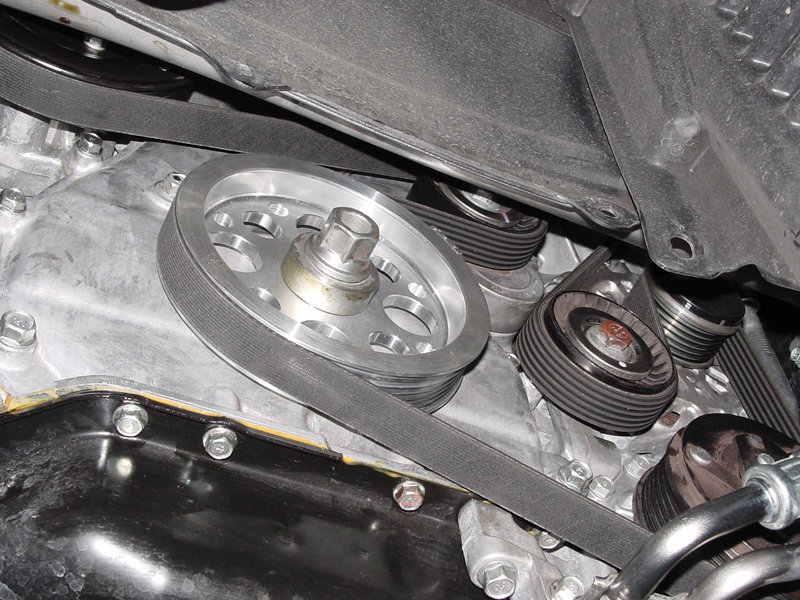 The lightweight crank pulley fits all 08-09 EVO X models. 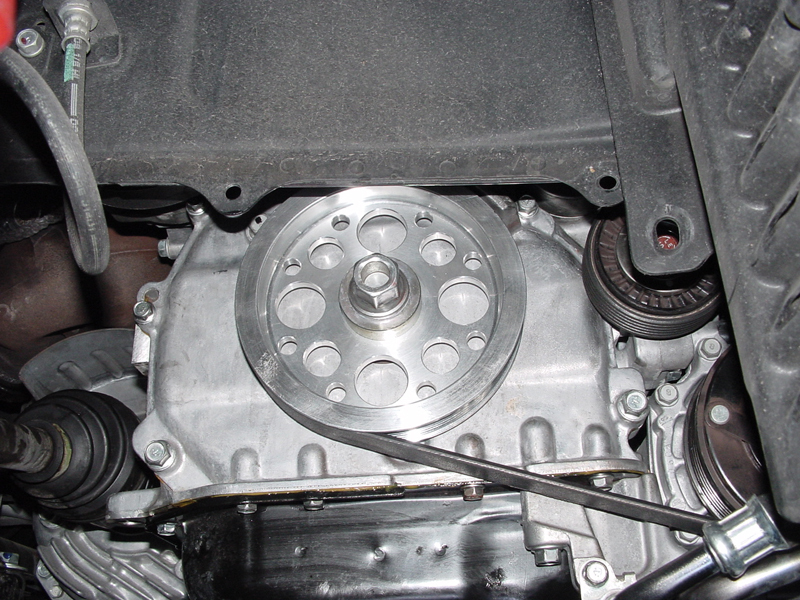 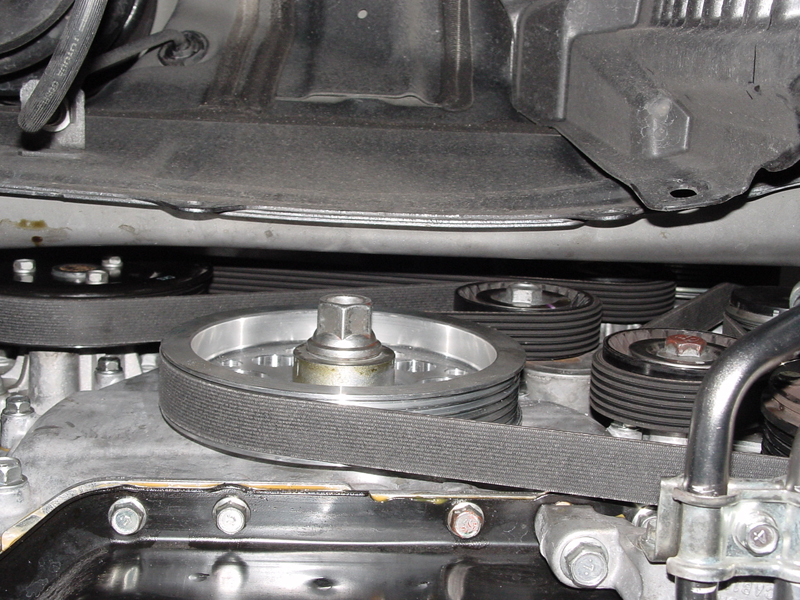 The pulley is a direct bolt on using the factory belt. 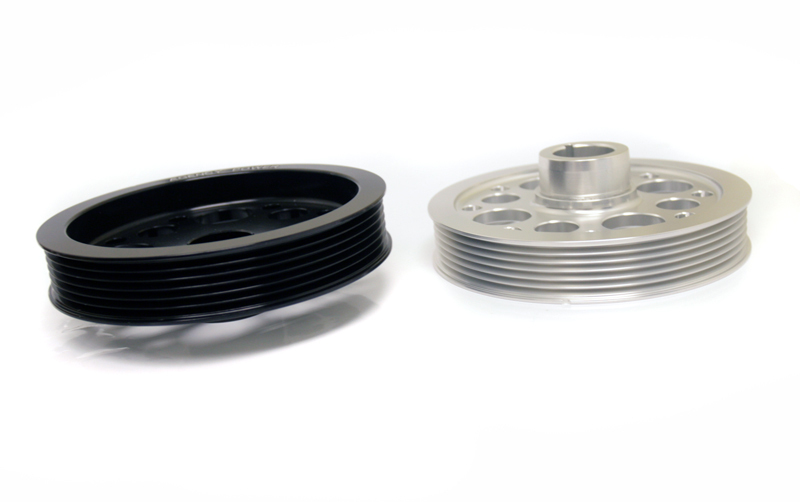 Using the same diameter as stock, the AP pulley weights about 1.0 lbs compared to the stock pulley weighing in at 4 lbs. 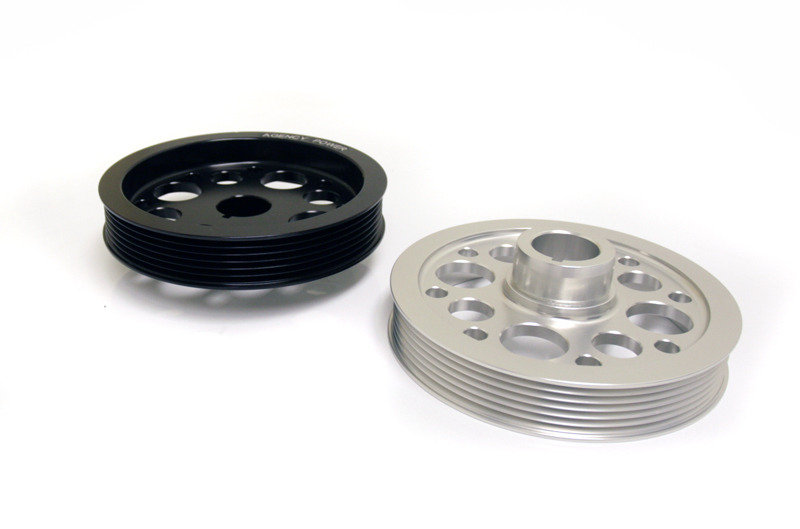 The weight savings in rotational mass equates to serious performance increases. 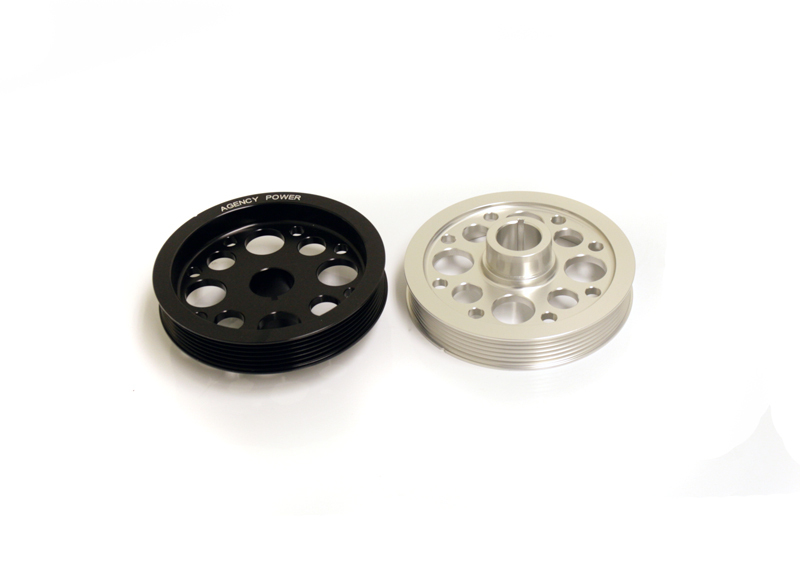 Quicker throttle response, improved rev matching, and more for the serious performance driver.